a grownup (ha! ), I can have breakfast whenever I want. I can also take a road trip to visit my amazing friend, Claire Hoenke, who just so happens to be the Goddess of All Things Breakfast. The first time I visited Claire, she made the world’s best biscuits and gravy, and I may have proposed marriage. The last time I stayed at Claire’s, I had driven up as a surprise for her birthday (planned by her husband, who is obviously the luckiest man alive), so she didn’t have any special ingredients stocked away to spoil me with. Somehow Claire managed to whip up an absolutely delightful breakfast feast without waking me up. I finally stirred when the scent of bacon, potatoes, sautéed veggies, and perfectly fried eggs became so overpowering my brain decided that maybe I could be a morning person. What I am trying to convey to you is that Claire is the best hostess and also the best at breakfast, so you should listen to everything she says. I am so excited that she is sharing some of her delightful self with us today. I think I’ve gone on long enough, so I’ll pass the mic to Claire now. I love cooking for my friends. Welcoming people to my table gives me a sense of fulfillment like nothing else does. While I adore hosting dinner parties, anyone who has ever spent the night at my house knows that breakfast is where I really shine. And why not? What could be better than waking up to the smell of fresh bread and a hot griddle? Starting my morning with a hearty meal is the best way to guarantee a good day. For me, nothing beats bacon and eggs with buttermilk biscuits, or waffles with pools of butter and syrup… until spring rolls around. When the ground starts to warm and the first plants of the growing season start popping up, my appetite shifts and I crave something different. Around this time of the year I find myself flashing back to spring in my childhood home, huddled with my friends in my parents’ vegetable garden. As kids, my sisters and I spent all spring and summer in the back yard, and when we got hungry, we would head for the garden. 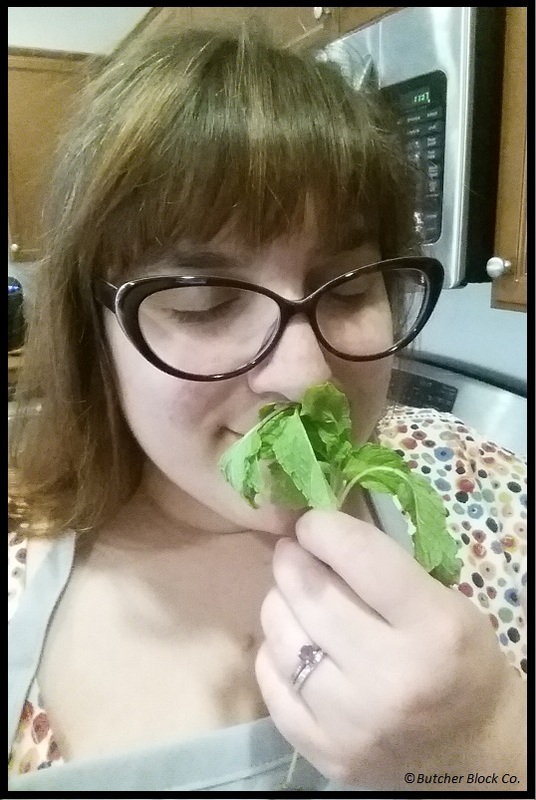 I can remember the feel of the cold dirt under my bare feet, the smell of the mint, and the sweet crunch of the sugar snap peas between my teeth. There is nothing like fresh veggies right off the stem. Alas, as an adult who seems to have inherited none of her parents’ magical green thumbs, the best I can do is head to the farmers’ market with a basket on my arm. 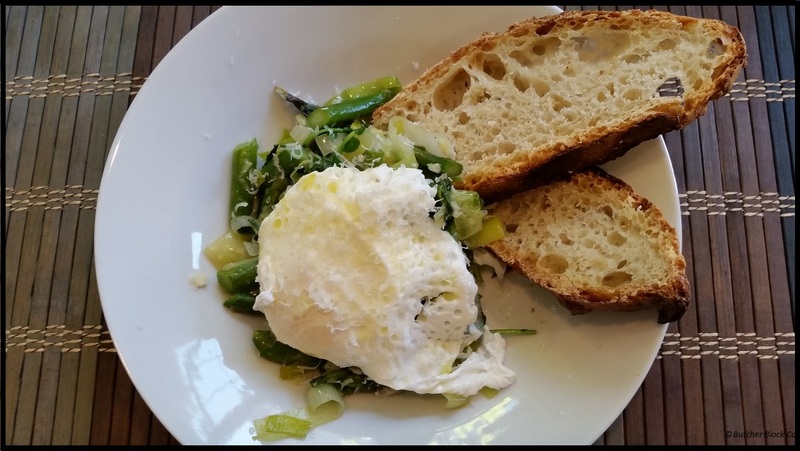 Depending on where you call home, you might be lucky enough to find fresh fava beans, ramps, or spring onions at your market, and those would be perfect in this dish. Spring peas are also well worth the work of shelling, and fresh escarole would take this dish to a whole new level. Heat the olive oil over medium heat in a medium sauté pan. 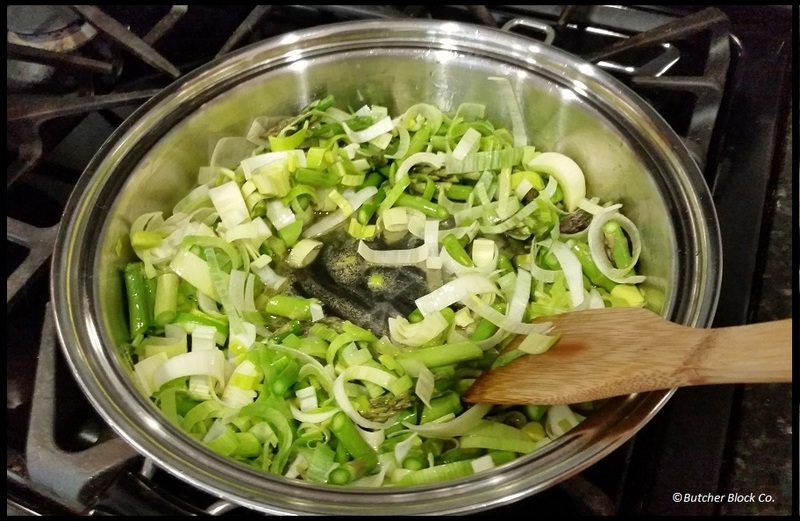 When the oil starts to shimmer, turn the heat down to medium-low and toss in the asparagus and leeks. Cover the pan and cook for about 2 minutes, until the asparagus just starts to get tender. Add the scallions and garlic and cook for another 2 minutes, shaking the pan occasionally. 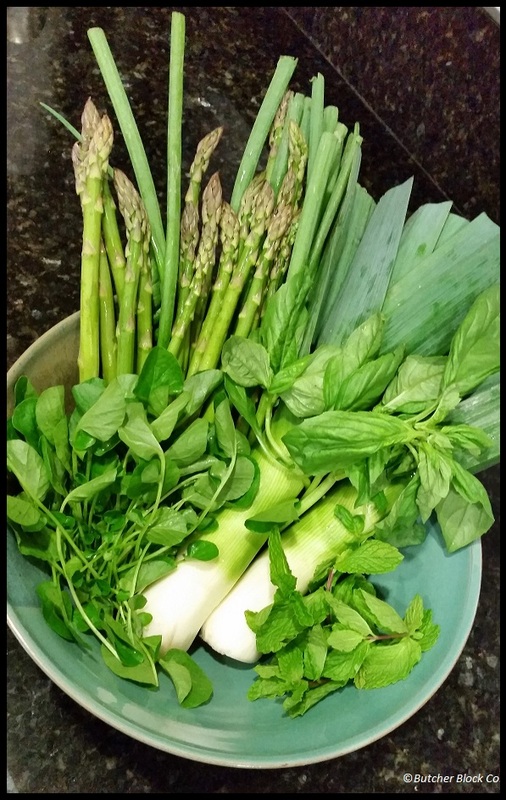 Add the mint and basil and cook until the asparagus is very tender. Add the watercress and toss until it’s just slightly wilted. 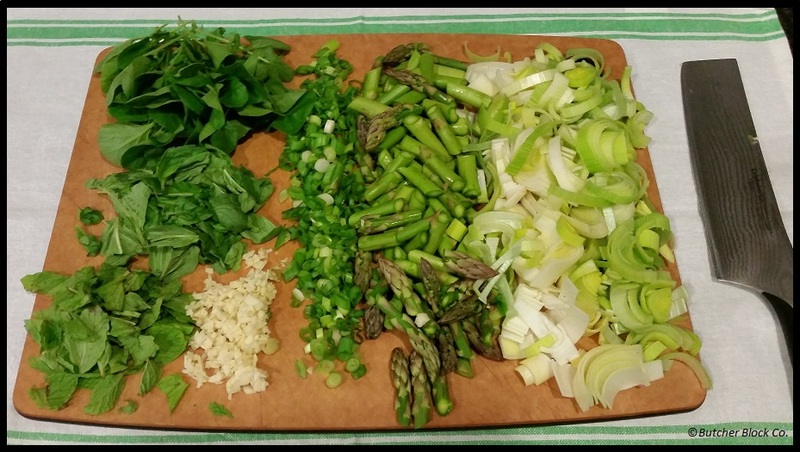 Season with some kosher salt and divide the greens into four bowls. Meanwhile, bring about two inches of water to a boil in a large saucepan. Reduce the heat to bring the water down to a simmer and add the vinegar. 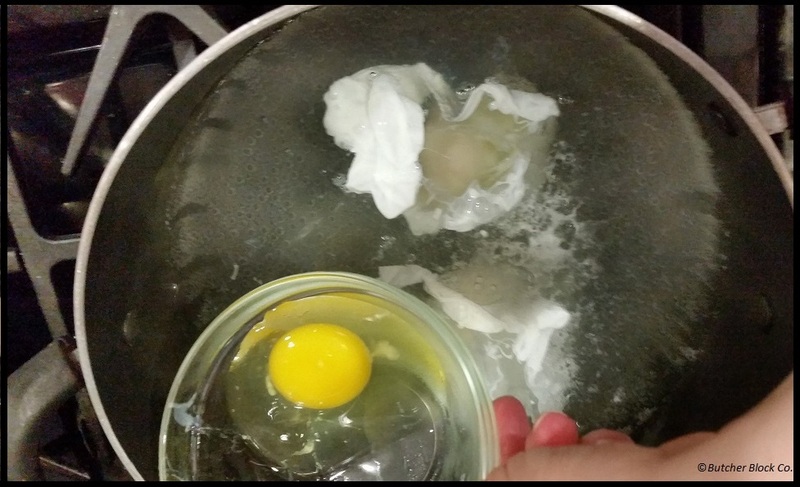 Crack an egg into a small bowl, and then gently slide the egg into the water. Once the white is opaque, repeat the process with the next egg, and so on. Poach the eggs for about 3 minutes each until the whites are set, but the yolks are still runny. 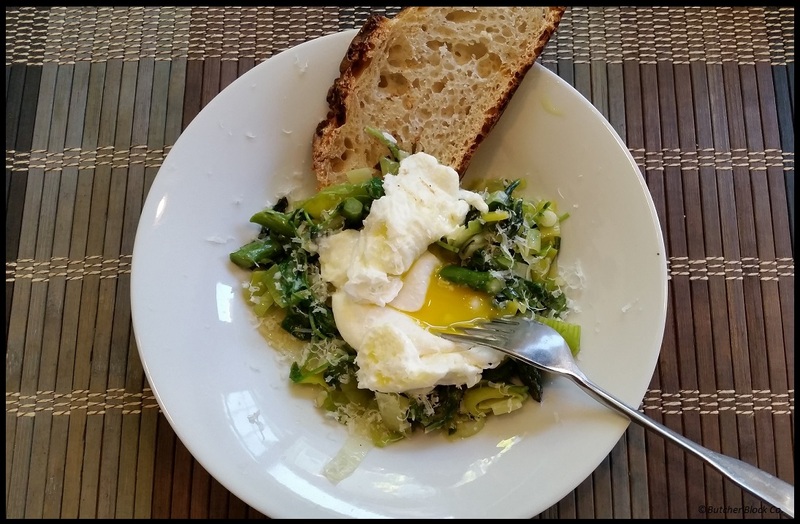 Using a slotted spoon, transfer each egg as it finishes onto a bowl of greens. Drizzle each serving with olive oil and some grated or crumbled cheese. Serve with slices of bread and soak in the goodness! Are you still breathing? Want to meet me at Claire’s for breakfast? If you’re not up for the trip, print off the recipe and give it a go at home using goodies from your own garden or local market!